..the first image that conjures up in our minds is that of the Chinese fishing nets- photographed innumerable times, with the backdrop of a setting sun in yellow-orange tone or sometimes even in sharp pinks and violets after a filter treatment. But what's beyond this charming scenery ? 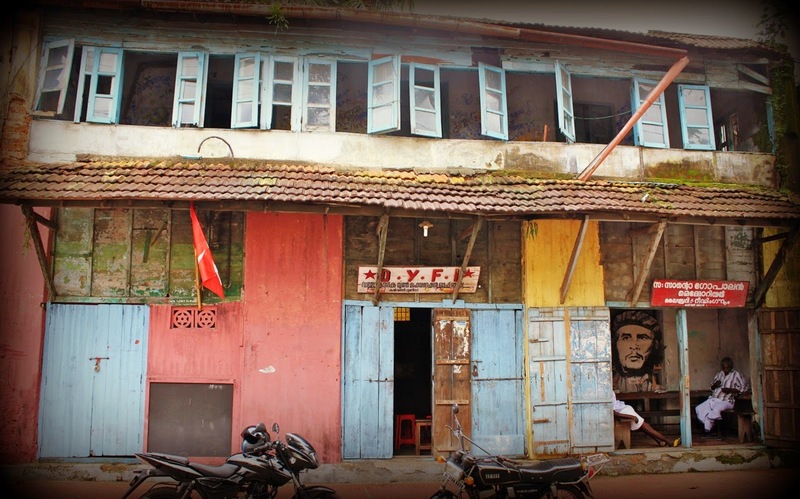 Fort Kochi is one of those places, which has been polished, a tad extra for tourists and travellers. It's hard to understand what's local and what's authentic. The hundreds of 'home-stays' in Fort Kochi are actually either family run guesthouses or family run hostels with reception desk et al. Local Kerala full meal platter is not easily available in every corner. Weird as it may sound, I somehow missed the fun of being in a place where things are a bit disorganised and confusing. 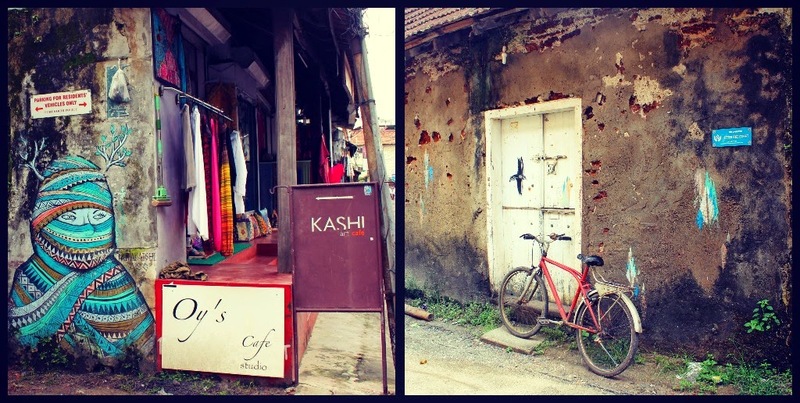 Fort Kochi is actually a comfort travel- if that makes any sense. I spent most of my time in this gorgeous little island walking through its streets. Of course, there are museums and some beautiful churches to be visited but it's the streets which hold a lot of character. 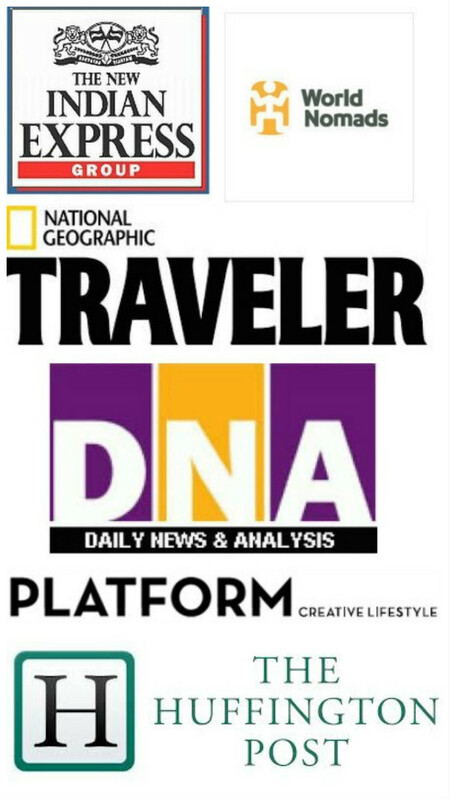 Here is my pictorial guide to Fort Kochi street corners and other interesting experience based activities. 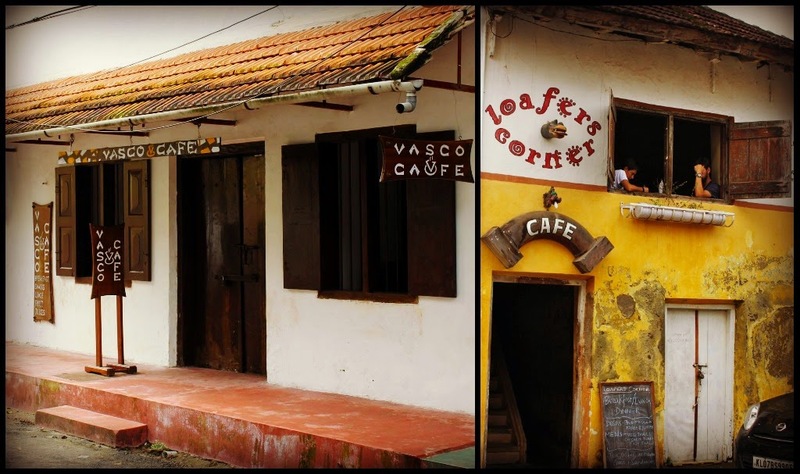 Cafés: Fort Kochi has some really cool cafés in unassuming by lanes and they all seem to be really good, some even doubling up as art and craft gallery. 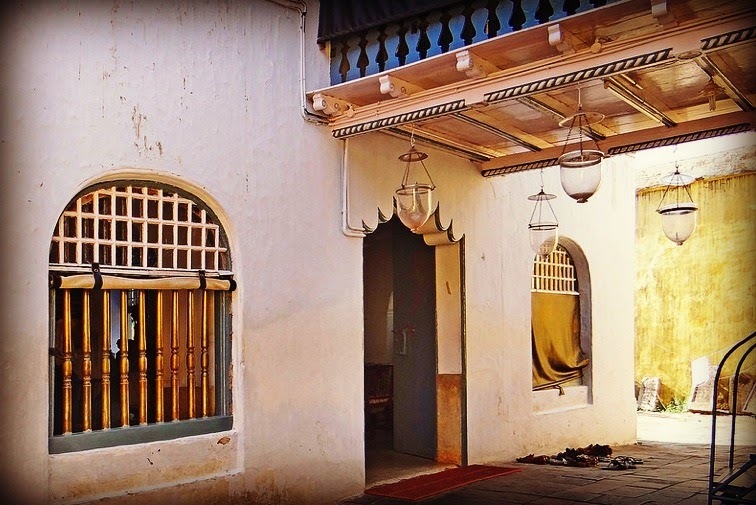 I suggest to take a step away from popular ones mentioned in guides and explore the ones in hidden street corners. 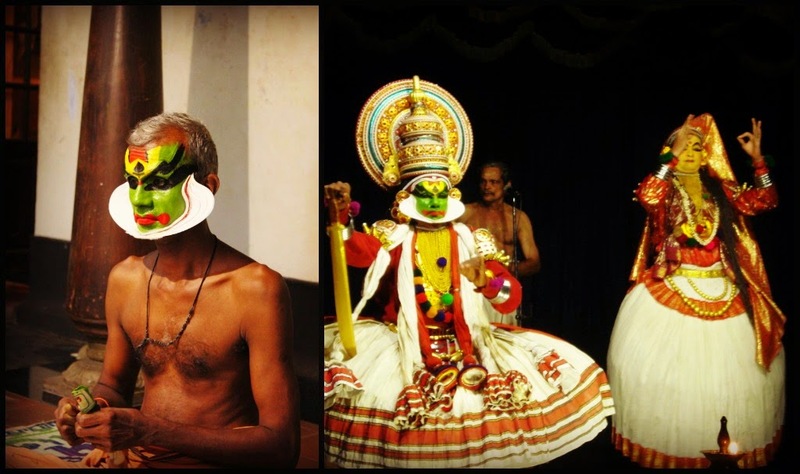 Performing Arts Show: There are three popular venues in Fort Kochi where traditional dance performances like Kathakali, Mohiniyattam, Thayyam etc along with traditional martial arts Kalaripayattu are performed for visitors every day. These shows are designed keeping tourists from all around the world in mind. 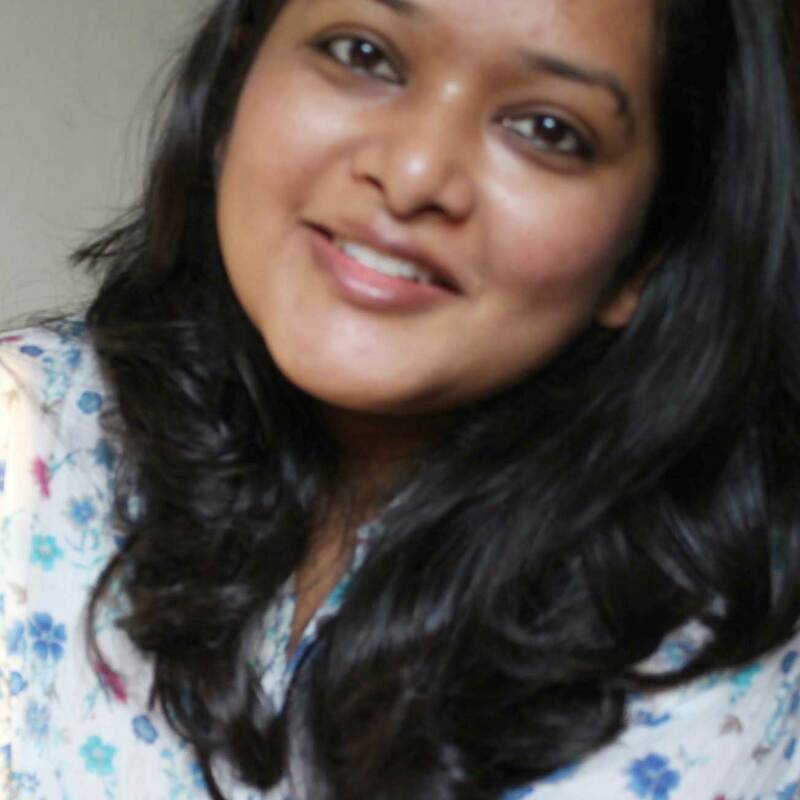 The venues are Greenix Village, Folklore Cultural Theatre and Cochin Cultural Centre. Some debate that such paid performances are a little too 'commercial', but let's accept not all of us get an opportunity to see these beautiful dance forms in their real avatars, so why not visit ones put out for tourists exclusively. More importantly, I am glad, its because of these institutions, the local artists have a platform and the artforms are preserved. 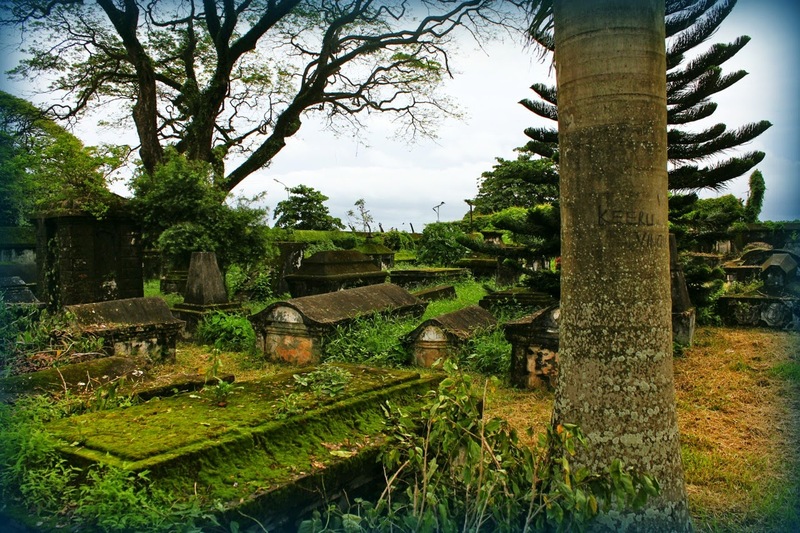 Cemeteries: If you like to visit historic cemeteries, then look out for the Dutch cemetery in new part of Fort Kochi and Jew Cemetery in the old part- Mattancherry. Access to both may require prior permission but one can get a decent peek inside through its gates- like I got here. Ferry Ride: If you're living in Fort Kochi, chances are that you'll be commuting totally on foot or a hired scooter. But a local ferry ride connecting Wellingdon Island, Ernakulam, Mattancherry and Fort Kochi are a must to see some local sights and lives. 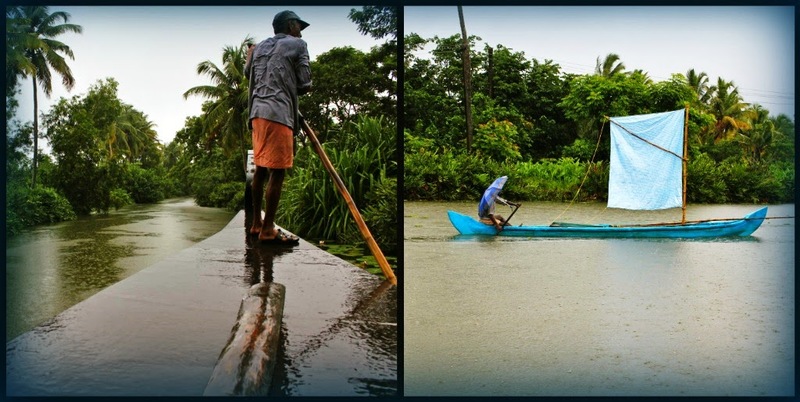 Backwater: It's said that a trip to Kerala is incomplete without a backwater trip. And the good thing is that Allepey is no more that 90 minutes drive. So how can one miss the ride through its backwater! Enjoy a hand rowed boat or a motorised one but definitely not miss the local wooden canoes. The Streets: Yes, like I mentioned earlier, its the streets which hold lot of character. Weather it be the quaint sleepy Jew Street of Mattancherry or Calvetty Road or Berger Street. There is some form of art, graffiti, architecture or history to be explored. Chinese Fishing Nets: At last, the most photographed view. 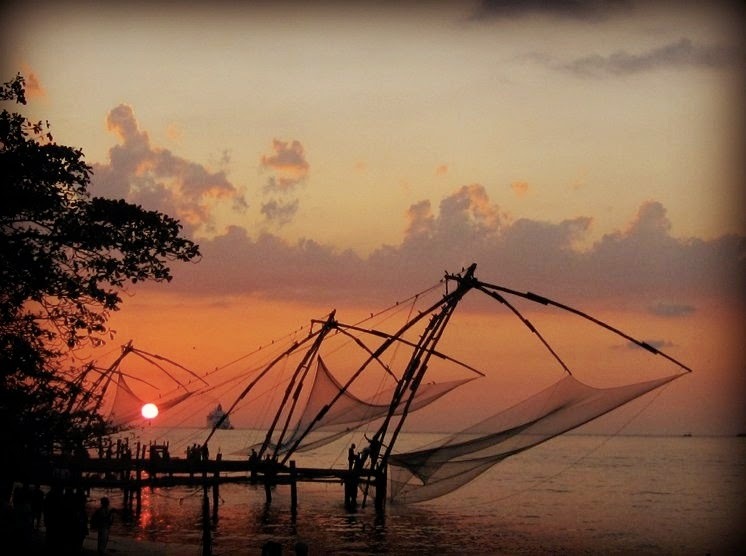 This 500 year old fishing technique is fast vanishing with only 11 such nets left in Fort Kochi and 9 in Fort Vypeen. One surely has to visit these when the fisherman are at it.